Opening its doors in March 2014, The Exchequer Wine Bar, Ranelagh is a sister restaurant to The Exchequer Dublin 2. An extensive wine list consisting of over 100 selections, with approximately 35 by the glass, classic cocktails with a twist, Irish craft beers and food menus that are both inviting to the eye and delicious on the palate, all make The Exchequer Wine Bar the epitomy of the quintessential wine bar. They encourage guests to relax, eat and drink good food, wine, cocktails and beer, enjoy good company, and to quite simply, enjoy your experience. 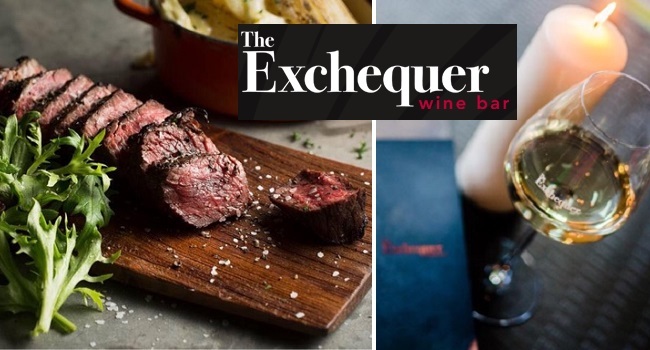 TheTaste and The Exchequer Wine Bar, Ranelagh are giving readers the chance to Experience a 20oz Hangar Steak for Two with a Bottle of Wine and Coffee after dinner for €69.